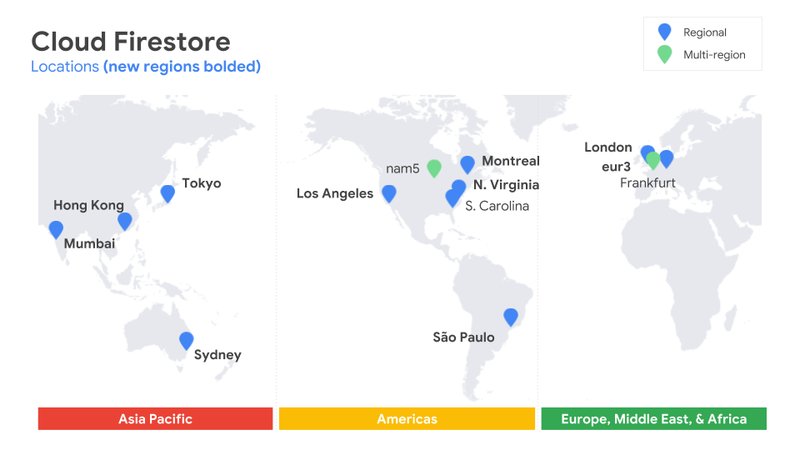 The Firebase Blog: Cloud Firestore has Gone GA, Lower Pricing Tiers, New Locations, and more! 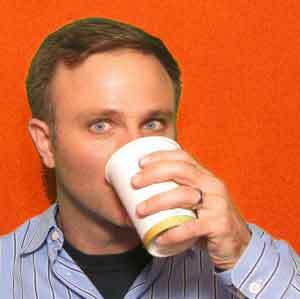 Hey there, Firebase developers! Did you hear the news? Cloud Firestore — our NoSQL database in the cloud for mobile and web apps — is officially out of beta and in General Availability! Great! So… why's that a big deal? The move from beta to GA is significant for a number of reasons. For starters, it's Google's way of saying that we're confident in Cloud Firestore's ability to handle your toughest database needs. And you can rely on Cloud Firestore to power all kinds of apps — from experimental prototypes to mission critical enterprise-scale applications. Moving into GA also has some practical benefits. One of the most important is that Cloud Firestore is now included in GCP's official Service Level Agreements (or SLAs, as they're commonly known). This means you now have guaranteed uptime — 99.999% for multi-region instances of Cloud Firestore, and 99.99% for regional instances. In addition, now that Cloud Firestore is out of beta, important programs like GCP's deprecation policy officially apply to Cloud Firestore, and Cloud Firestore is now included among our list of services that support HIPAA compliance. New lower pricing tier — coming soon! To over-simplify things a bit, when you have a Cloud Firestore database installed in a multi-region location, exact copies of your database are created in multiple data centers at least a few hundred miles apart from each other. This is great from a reliability standpoint; even if one region were to completely go offline due to a natural disaster or giant radioactive lizard attack, your database would continue to be hosted from the other two. Even better, this whole setup is completely transparent to you. When you write new values to the database, you're able to read them right away, and not have to worry about whether or not they've fanned out to all of the other regions properly. This is known as being strongly consistent, and honestly, it's a pretty amazing piece of tech that will impress your database aficionado friends. So to help reflect these differences, we're going to start lowering prices on most of our regional instances of Cloud Firestore in the next month or two. The price will vary by location, but the discount will be as much as 50%. Once this new pricing goes into effect on March 3rd, 2019, it will be applied automatically to those of you who have Cloud Firestore databases hosted in those regional instances. As long as we're talking about data center locations, we've added several new locations around the world to host your Cloud Firestore data. There will be a new multi-region location in Europe, and then 9 additional regional locations, including a few in Asia, Australia, North and South America, and Europe. Be sure to check out the Google Cloud blog post for the complete list. We believe these new locations will give you the tools to help address your local regulations around data storage, and better serve the needs of your customers who might be concentrated in certain areas around the globe. You can select your Cloud Firestore location when you first create your Firebase project, so make sure to pick the location that will provide the best experience for your customers. One of the biggest concerns we've heard from developers when they're using a tool like Cloud Firestore is that they're not very confident in their app's database usage, and they're worried about the day when a bill arrives in the mail for more than they expected because they had underestimated their app's database usage. So to help address this, we're going to be adding a new "Usage" tab in the Firebase console to show you exactly how many reads, writes, and deletes your database has received over time. These are the operations that drive the majority of your Cloud Firestore pricing, so making sure you know what your traffic is like in these three areas is critical to keeping a handle on your costs. These graphs are certainly helpful, but what's really exciting about these usage reports is that they're being powered by Stackdriver, Google Cloud's incredibly flexible monitoring and reporting toolkit. And one really nice feature about Stackdriver is that you can set up your own custom alerts if any of the metrics its measuring go outside certain ranges. So if you want to receive an email (or PagerDuty notification, or a Slack message) when your database receives more reads than you were expecting in a one-hour period, you can do that. You can also receive alerts if your traffic spikes an unusual amount compared to normal, or if your overall traffic drops below a certain level. 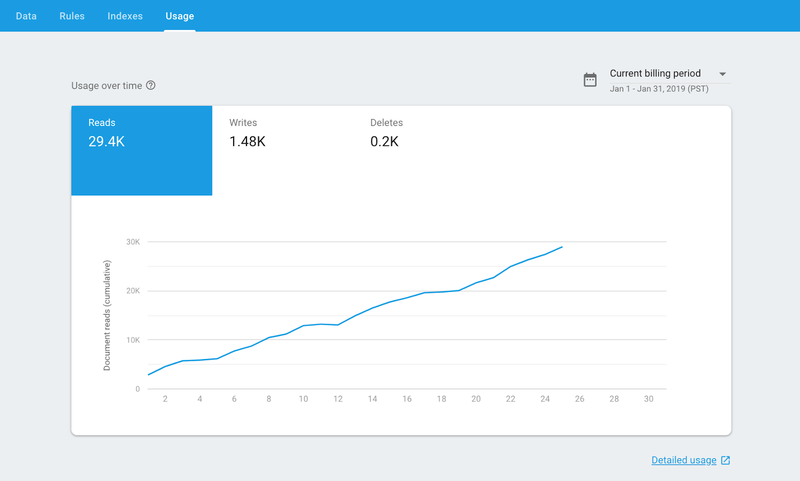 Please note that this usage tab is currently in beta, and while there's a lot more you already can do with Stackdriver (including building your own custom dashboards), we'll be looking to add more Cloud Firestore metrics to Stackdriver in the future. Look for this new Usage tab to appear in the Firebase console in the next few days! Even in beta, Cloud Firestore was driving some fantastic app experiences — with partners like The New York Times, Skip Scooters, QuintoAndar, Nerdery, and more building some really great features powered by Cloud Firestore. And now that we're in General Availability, this a great time to get started using Cloud Firestore to power your apps. We've got a lot of documentation and samples get started with, and a fun little video series that I am legally obligated to plug. So give it a look, and happy databasing!